The latest colorway of Nike Zoom KD V is available now, the "Home" edition. 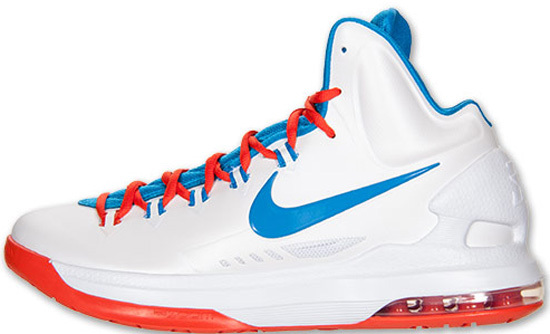 This colorway of the Nike Zoom KD V was designed to match Kevin Durant's Oklahoma City Thunder home uniform. 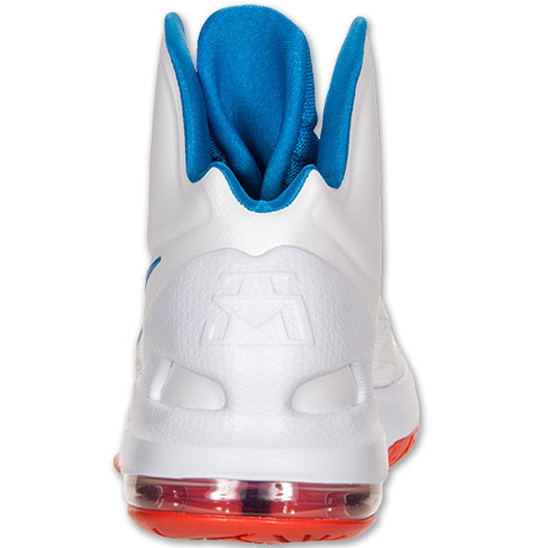 Featuring a white-based upper with photo blue and team orange accents. 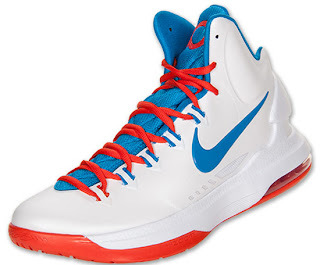 Durant has been wearing these while playing at home during the 2012-13 NBA season. After seeing the "Away" colorway release in December, the "Home" colorway is available now and was released on Saturday, January 19th, 2013. They are a general release available at select Nike accounts worldwide retailing for, $115. 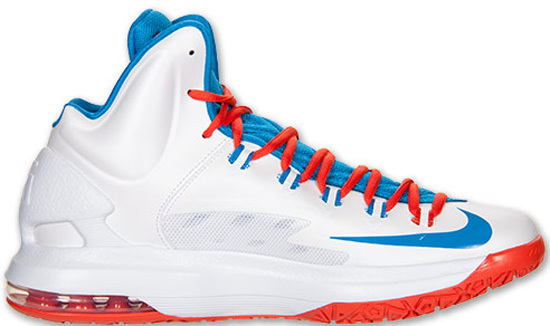 Enjoy this detailed look at the Nike Zoom KD V "Home" in white, photo blue and team orange below. If you're interested in grabbing a pair of these, head over to your local spot as they are available now. For those of you looking to secure a pair now, click here to buy them on eBay.